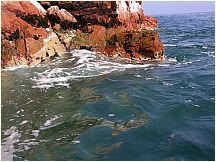 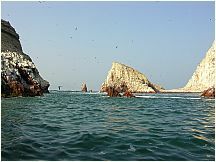 34 Free photos of Ballestas Islands, Paracas National Reserve, Peru. 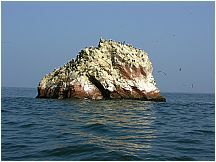 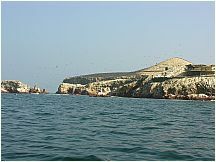 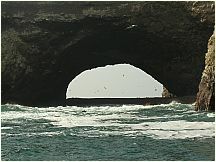 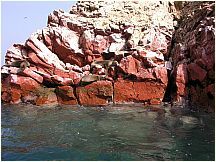 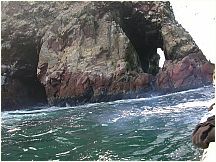 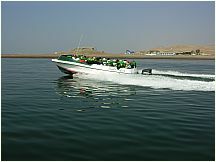 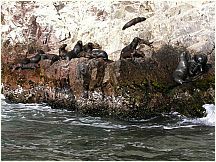 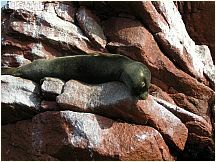 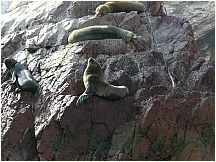 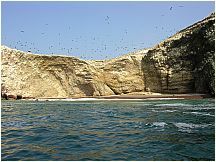 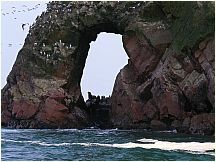 The Ballestas Islands were added (1966) to the Paracas National Reserve (340,000 hectares), established in 1975, just south of Pisco. 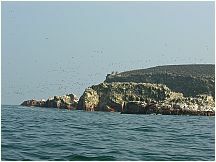 The Reserve and Islands are home to a multitude of species. 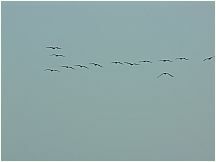 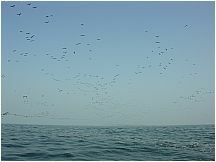 Flights of birds look like the approach of a dark storm cloud, but these clouds have white rain. 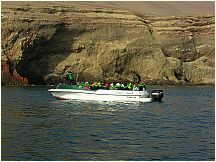 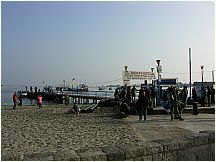 Tourists can take boat tours around the islands but are not allowed on shore. 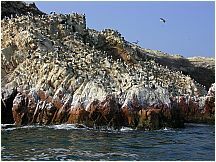 It is probably a good thing because the place is covered with processed fish that has been through the digestive tracks of countless and diverse birds, sea lions, and turtles. 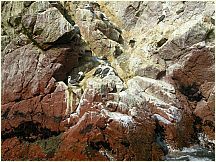 Much of it is still accumulating as you can see in the photos, look for the white streaks whenever there is a dark background. 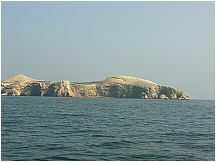 Do remember to bring a hat! 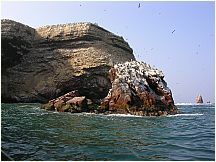 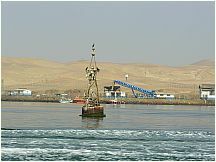 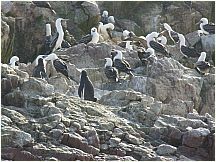 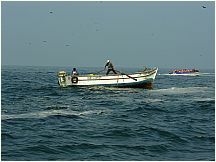 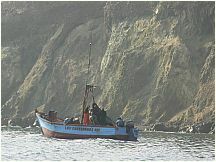 This continual dropping of processed seafood over centuries from 150 bird species such cormorants, Humboldt penguin, an occassional condor, boobies and pelicans fueled a profitable extraction industry that exported shiploads of guano throughout the world for use as fertilizer. 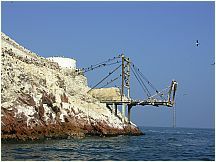 On the way to the islands is the Candelabro, a 150 ft. (50 meter) form in the desert overlooking the sea. 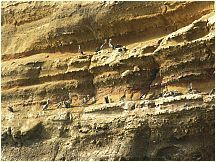 It dates from pre Inca-times. 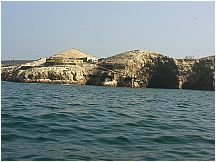 On the way to the islands is the Candelabro, a 150 ft. (50 meter) form in the desert overlooking the sea. 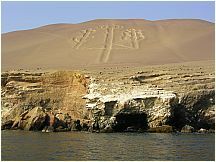 It dates from pre Inca-times and is related to the nearby Nazca Lines. 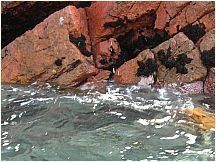 Brightly colored rocks with sea weed and starfish in the Ballestas Islands. 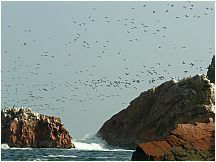 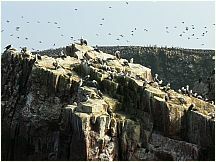 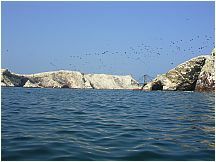 Notice the rain of "guano"
Boobies and other birds heading to sea from the Ballestas Islands in the endless search for food.